@ShiPeiPu_London_ | Mon, Dec 12th, 2011 10:50 a.m.
@ShiPeiPu_London_ | Mon, Dec 12th, 2011 4:58 p.m.
daniel cutler | Tue, Dec 13th, 2011 5:46 a.m.
Petra Cortright | Tue, Dec 13th, 2011 11:49 a.m.
@ShiPeiPu_London_ | Tue, Dec 13th, 2011 9:21 a.m.
David_Hockney | Thu, Dec 22nd, 2011 6:21 p.m.
James Farner | Fri, Dec 23rd, 2011 1:19 p.m.
@ShiPeiPu_London_ | Sat, Dec 24th, 2011 12:03 p.m.
A barred spiral galaxy is a spiral galaxy with a central bar-shaped structure composed of stars. Bars are found in approximately two-thirds of all spiral galaxies. Bars generally affect both the motions of stars and interstellar gas within spiral galaxies and can affect spiral arms as well. 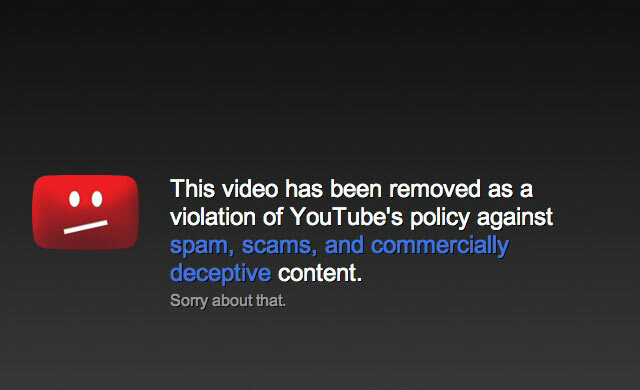 Timmathy Griffin | Thu, Jan 12th, 2012 4:45 p.m.
Not the first or the last time such a thing happened on YouTube. Shame, I also wanted to see the video. Zoë Salditch | Fri, Jan 13th, 2012 9:27 a.m.